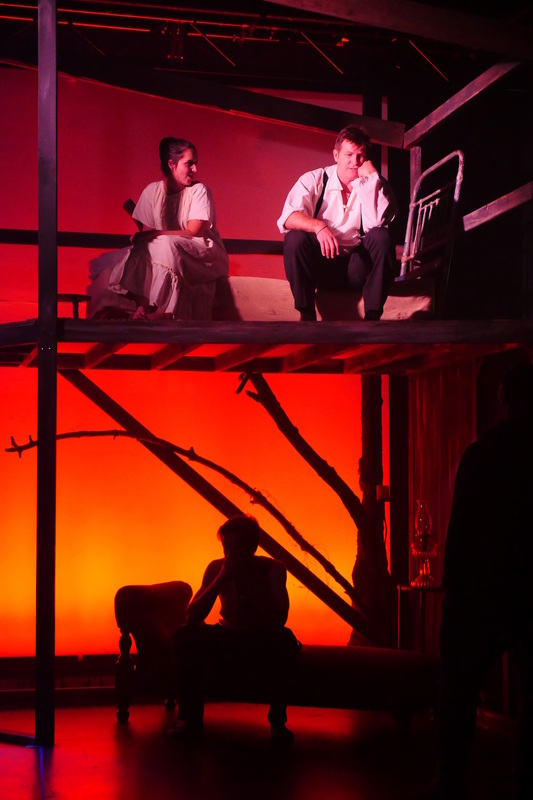 Eugene O’Neill’s poetically titled 1924 tragedy Desire Under the Elms retains an alluring and potentially affecting premise. While The Sol III Company’s new production contains many admirable elements, the scope of the play is stifled by the intimacy of the performing space. The Sol III Company has linked their choice of play to advocacy for climate preservation, donating 10% of ticket sales to the Climate Council. Set on a New England family-run farm, the five central characters work the land, take their sustenance from it, and are consumed with the compulsion to own it. A handsome but embittered young man, Eben Cabot sets a tragedy in motion when he commits the destructive betrayal of sleeping with his aged father’s young new wife. Producer/director Andrei Schiller-Chan is clearly a humanitarian of the first order, and the very human aspects of the tightly woven play that have attracted his attention are evident. Avoiding any melodramatic pitfalls, Schiller-Chan brings out the realism in the drama. The New England accents and speech patterns are well rehearsed, adding to the authenticity of the period setting. Schiller-Chan draws high energy levels from the cast. 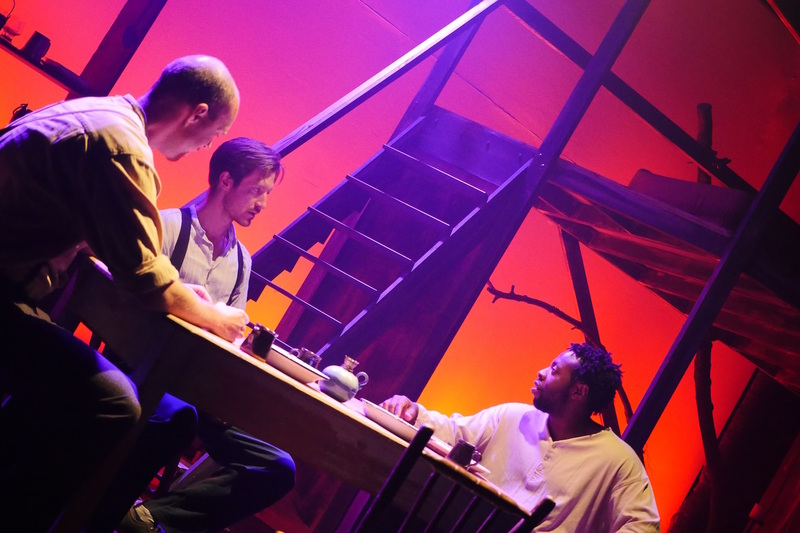 Playing farmworkers, and frequently angry ones at that, it is realistic for the four men speak in very loud voices, but in the small space of The Loft there is nowhere for this energy to go. The play has little room to breathe, and the tensions, schemes and desires that are meant to simmer, ripen and explode are thwarted, undermined and suffocated. An aspect that also contributes to this is the combination of O’Neill’s acts one and two before interval, making it unclear that any time has passed from when Ephraim Cabot first brings home his new wife. Lighting designer Travis Macfarlane paints the background with the lush pink, reds, blues and purples of the ever-changing horizon. Production designer Hahna Read sets the action on a sturdy condensed collage of farmhouse features, including a kitchen, parlour and upstairs bedroom. Both of these design aspects would also be well served by a grander stage. Allowances can be made for limitations in space and budget, but to have some characters sleeping on the floor next to the kitchen interrupts the overall level of realism. Cindy Hanara’s costume design is suitably gritty, with costumes looking dusty and well worn. The sound design, by Paul Raine, adds to the atmosphere with the sounds of nature as well as some well-chosen mood music. Samuel Lavery stands out in a sharply focused performance as Eben. Looking every bit the part of the virile young farmer, Lavery effectively clouds his handsome looks with Eben’s embittered self-pity, giving a strong sense of the brooding danger. Being younger than Ephraim Cabot’s 75 years, Darren Mort’s physique gives the old man a sturdy, broad shouldered look. A solid actor, Mort nonetheless needs more room to enable Ephraim’s blind ignorance to be played effectively. Mort and Lavery enact a very convincing physical fight between the warring father and son. Still quite a newcomer to the stage, Diana Brumen comes across as a little young to play Abbie Putnam, hence hindering her portrayal of the character’s worldliness, quick minded scheming and well-learned seductiveness. Brumen clearly conveys the new level of weariness Abbie feels in the third act, showing the passage of time and change of circumstance. Her character’s unthinkable role in the unfolding tragedy is a tall order for any actor. 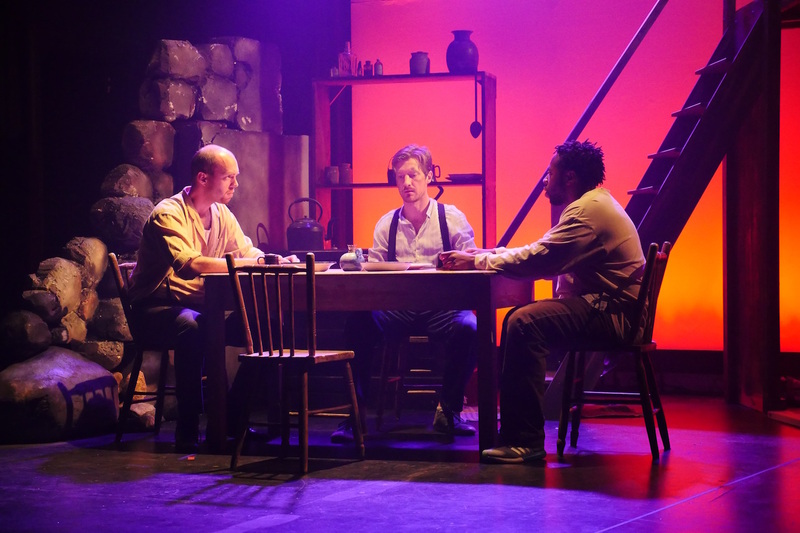 In the thankless roles of older brothers Peter and Simeon Cabot, Garikai Jani and Timothy Smith provide an energetic beginning to the play, making their characters’ contribution of necessary exposition more entertaining than it may have been. Although the brothers are not seen again after they depart for California’s goldfields, their charm leaves a lasting impression. 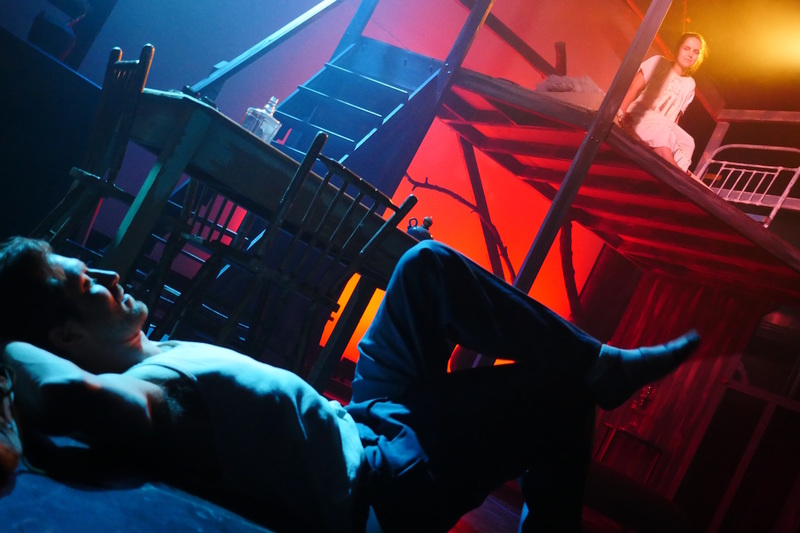 Given that such classic plays are all too rarely seen on our stages today, drama lovers will appreciate the chance to experience a by-gone treasure such as Desire Under the Elms. Desire Under the Elms plays at Chapel off Chapel until 24 July 2016.